I have no idea what this pretty, fluffy little flower is, but if it weren't illegal to pick wild flowers, I'd certainly have gathered a few of these for my vase today. 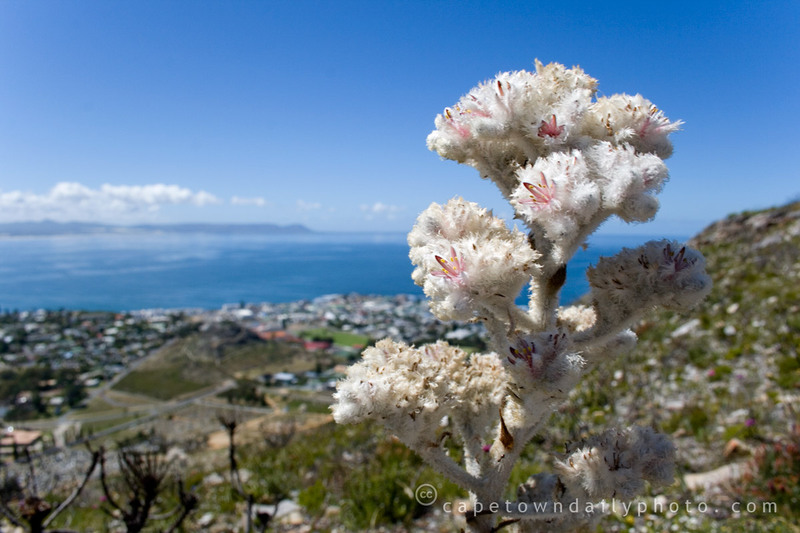 The Cape Floral Kingdom is a Unesco World Heritage Site, and apparently has more plant species than the whole of Europe! According to Unesco, this area contains nearly 20% of Africa's flora, even though it covers less than 0.5% of the surface area of the continent. Posted in General on Tuesday, 30 December, 2008 by Kerry-Anne.